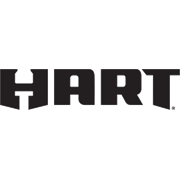 The Hart 450g rubber mallet features a robust, lightweight rubber head that is suitable for applications requiring soft strikes. The fibreglass handle flares out inside the rubber head through to the top, helping to increase the lifetime by up to 50% longer than traditional mallet designs. 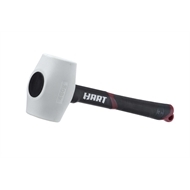 The rubber grip reduces vibration and ensures a secure hold on the mallet when it is in use. Easy storage with the convenient hanging hole at the handle base.